Zuckerberg is right to a degree in that a court of law might not consider these situations to rise to the level of “selling” data, but rather things like “bartering” or “subscription membership” fees or even “access” or “integration” fees. To the average Facebook user, however, whether their data is being traded for something else of value, included as part of a bulk subscription or charged individually, such distinctions mean little. Their data is being “sold” no matter how you wish to twist your semantics. It is also true that Facebook apparently never actually put these plans into effect. Though here again we have nothing more than the company’s words and very carefully constructed semantics. After all, given his statement, would Zuckerberg consider “bartering” to be a form of “selling?” It would be far more reassuring if the company would state for the record that beyond directly transactional advertising fees, it has never received anything, whether of value or not, in return for access of any kind to user data. However, a more interesting aspect of Zuckerberg’s statement from earlier today was his comparison of Facebook’s developer platform to traditional commercial cloud computing services like Amazon AWS and Google Cloud. In Zuckerberg’s telling, cloud vendors like Amazon, Google, Microsoft and others rent their computing hardware for developers to run their applications on, so Facebook is no different. In reality, however, developers who use Amazon’s cloud don’t get access to Amazon’s marketplace data, nor developers on Google get access to its web indexes or Microsoft access to Office data. Developers choose those clouds based on their hardware and software environments, not access to data. With the commercial cloud you bring your own data, they merely rent you the hardware and software tools to use it. 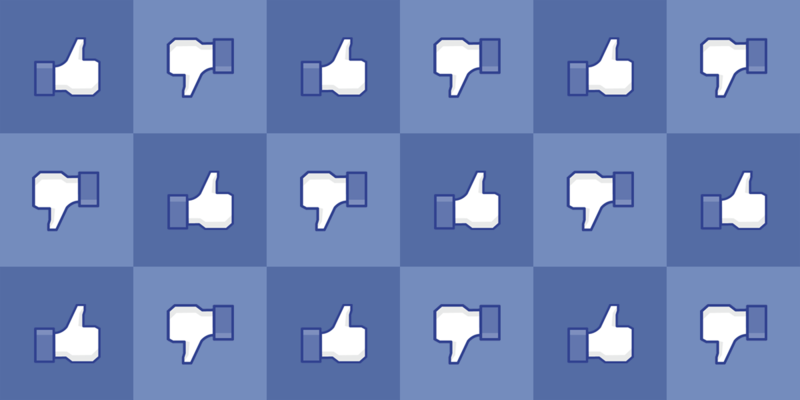 In stark contrast, developers don’t choose Facebook’s application platform to gain access to specialized hardware or software tooling or AI systems to build systems entirely unrelated to the social media experience. A manufacturer isn’t likely to choose Facebook as the best cloud vendor to maintain their warehouse inventories or store their customer credit card data. Developers choose Facebook’s platform to gain access to Facebook’s data. To put it more directly, developers choose Facebook’s platform to gain access to the personal data of its two billion users which it holds in trust for them. Seen in this light, Zuckerberg appears to be rationalizing the idea of charging access for user data by seeing the transaction as renting hardware that just happens to come preloaded with two billion people’s data. In essence, a commercial cloud company like any other in which developers are paying to rent hardware, but where the benefit is not specialized hardware capability or software systems, but rather unique access to the social media data of its users. This is a particularly intriguing framing as it would allow Facebook to rationally and legally argue that the product of value being “sold” is indeed “hardware” rather than “data.” To its two billion users, however, such distinctions are meaningless. More importantly and troublingly, however, this idea of Facebook as a cloud provider that just happens to come preloaded with user data, represents an ultimate commodification of its users as nothing more than utility data points. A sales pitch based around each user account representing the intimate and very personal life of a very real physical human being and setting pricing accordingly would escalate the concept of “selling” data but would at the same time acknowledge the immense value that that individual likely places on their personal life. Instead, by treating user data as merely part of a bulk package deal as part of a hardware rental contract, Facebook shows a frightening disregard for just how personal and intimate that data is that it is simply tossing over the fence to its developers. In this light it is almost remarkable that Cambridge Analytica became the exception, rather than the norm. It is also interesting that given Facebook’s emphasis on growth at all costs captured in these emails, that it did not view developers as merely extensions of its own programming staff. After all, developers create applications that drive traffic or content to Facebook and which help to keep them engaged while they are there, luring them back and upping the total ad surface and duration to monetize. Zuckerberg’s framing in both 2012 and today articulating developers as either profit or cost centers, rather than extensions of its own developer community is intriguing. The company did not respond to requests for comment on the emails, though in public statements it has argued that the emails do not provide the whole context for its conversations, while declining to clarify what it believes is missing or to provide that absent context. Putting this all together, Zuckerberg’s rationalization earlier today of those 2012 discussions by envisioning Facebook as a cloud computing provider that just so happens to toss user data into the mix is at once a hopefully naïve rendering and simultaneously an Orwellian commodification of the most personal and intimate digital lives of its two billion users. In the end, perhaps most of all it reminds us just how little we mean to Facebook and that after all these privacy scandals, it still doesn’t understand privacy.